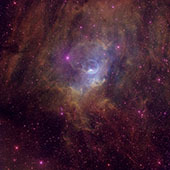 The Bubble Nebula (NGC7635) is one of three shells of gas surrounding the massive star BD+602522, the bright star near the center of the bubble. Energetic radiation from the star ionizes the shell, causing it to glow. The nebula is about six light-years in diameter. 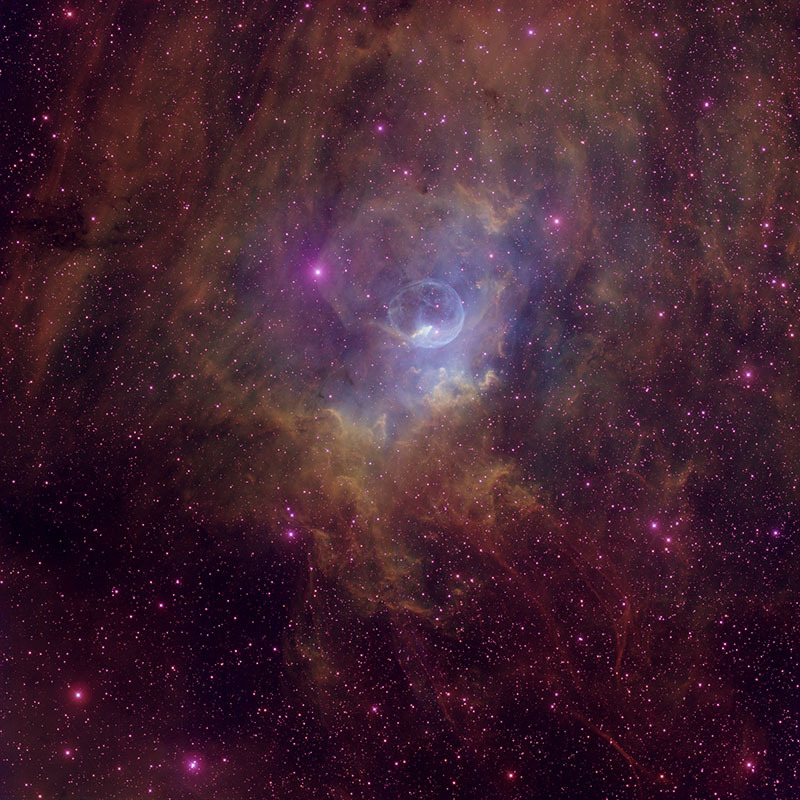 The magenta wisps near the bottom-right of the image are an unexpected bonusthe wisps are the remnants of a supernova that exploded thousands of years ago. This is the first optical image of the supernova remnant, which was discovered at radio wavelengths by the Canadian Galactic Plane Survey in 2005.